Sudan played a pivotal role in the Libyan crisis in 2011, and has had a significant impact on the process of change that took place in Libya during that period, which brought radical changes in the equation of governance in Libya. With the arrival of the rebels in Tripoli, on 21 August of the year 2011, The National Transitional Council (NTC) assumed control in most Libyan areas, following a grinding war involving the international community, represented by the North Atlantic Treaty Organization (NATO), as well as the involvement of other individual countries such as Sudan with its security and military forces, and Qatar using its money for the benefit of the National Transitional Council (NTC) to overthrow the Gaddafi regime. Colonel Muammar Gaddafi himself, who had governed Libya for a period of 42 years, was killed on October 20, 2011, allegedly by Libyan revolutionaries inside the Libyan territories. The events that started in February and ended in October 2011 had a substantial impact on national, regional and international level. The relationship between Sudan and Libya was important for both governments. The Sudanese actions arose as a result of the negative effects of the Gaddafi regime’s policies towards the Sudan, especially its impact on its national security, as the Gaddafi regime provided logistic support to the Justice and Equality Movement (JEM) and other Darfur rebel (1) movements, as well as the Gaddafi regime’s threats to the Sudanese-Chadian relations and to Sudan’s relations with other neighboring states. These threats and their impact on the regional situation resulted in a state of instability. Sudan participated in the conflict in Libya 2011, through effective collaboration with the NTC, and the international community. The Sudanese government contributed security and military assistance to the Libyan rebels against the Gaddafi regime, and helped the NTC politically and militarily to gain power in Libya. Libya played different roles in neighboring countries during the years of the Gaddafi regime. This was especially true in Sudan, during the period of the late Sudanese President Jaafar Nimeiri and during the former Cold War between the US-led Western bloc and the former Soviet-led Eastern bloc, as well as during coup of the National Salvation Revolution (Ingaz) Regime in Sudan. Throughout this period Gaddafi pursued a policy of intervention in the internal affairs of the Sudan, resulting in destabilizing the country by supporting the political opposition. It armed (2) the opposition, including the Sudan People Liberation Movement/Army (SPLM/A), led by the late Colonel John Garang, which later led to the secession of southern Sudan in July of 2011, forming the state of South Sudan. Libyan intervention in the Sudanese affairs had a significant impact on the course of the Sudanese-Libyan relations, despite the keenness of Sudan to not crack the relationship between the two countries, as the Sudanese government was fully aware of the political approach of Colonel Gaddafi and his ability to harm Sudan. Nonetheless, these Libyan interventions created a gap in the relations between the two countries, despite the possibility of strengthening good neighborly relations and cooperation between the two states. During the Gaddafi era, Libya supported the Darfur rebel movements, and had also greater ambitions in the Darfur region. Libya’s activities created fears and increasing concerns for the Sudanese government, which, subsequently, adopted a strategic plan to deal with the threat. It tried to neutralize the impact of the Gaddafi regime on Sudanese internal affairs by trying to increase activities of the internal Libyan opposition, to make the regime of Colonel Gaddafi busy with internal troubles, until it could find a suitable opportunity to remove it. When the Ingaz regime seized power in Sudan, in 1989, Libya was worried because of its Islamic orientation. Despite the fact that the Libyan authorities tried to hide these fears, Libyan intelligence organs were working constantly in order to create instability in Sudan. Colonel Gaddafi considered the Islamic movements as a significant threat to his regime, and these fears increased after the coup attempt against his rule in the early 1980s, as he accused Islamic groups for preparing and planning that coup. After seizing power, the Ingaz government tried to communicate with Colonel Gaddafi at the highest political level to explain to him the motives of change that occurred in Sudan. Gaddafi closely followed all the developments in Sudan, especially the declaration of Islamic state of Sudan by the Ingaz regime in January 1991. Despite the international embargo imposed on Libya by the US and the West at that time, the Gaddafi regime possessed all the means to destabilize Sudan, thanks to the Gaddafi regime’s revenues from oil exports. The Sudanese regime dealt continually with Gaddafi through a policy of restraint, based on their understanding of Gaddafi’s personality. It tried to avoid involvement into any conflict with him, and made several official visits to Tripoli, explaining to him the political developments in Sudan. The Sudanese leaders did their best to not enrage or provoke him, and also signaled to him that he was an integral part and a key character for stability in Sudan. However, all these diplomatic moves did not change Gaddafi’s mind and never deterred him from supporting the movements involved in the Darfur conflict, especially the JEM. This active Libyan role in supporting the Darfur armed movements formed a firm conviction of the Sudanese government, that it must find another way to remove Libya from interfering in the Sudanese internal affairs, and block Libya’s persistent involvement in agitating the conflict in Darfur. Consequently, the Government of Sudan saw the Revolution of 27 February 2011 as an opportunity to achieve its objectives in Libya, toppling Gaddafi from power and, subsequently protecting the Sudanese national security from Libya intervention. The Libyan intervention was clear in the Darfur conflict since its interruption in 2003 (3), and all indications were clear that the Gaddafi regime was involved in the war in Darfur by providing financing to the Sudan Liberation Movement (SLM) and JEM, led by the late Dr. Khalil Ibrahim, and with weapons and other military assistance, as well as providing the Darfur rebel movements with training bases inside the Libyan territories. After the Chadian authorities (4) refused to receive Khalil in May 2010 and confiscated his Chadian travel documents, the JEM leader and ten of his companions flew to Libya, where they were hosted by Gaddafi. As a result, the Sudanese authorities closed its borders with Libya, and sent its security and military forces to implement this action in the same month. Gaddafi’s involvement was possibly due to his desire to play a political role in Sudan after it became clear that the problem of Southern Sudan was on its way to settlement. Gaddafi might have feared that stability in northern Sudan, with its ability in the future to extract oil, would lead to greater development in the country, which might in turn lead northern Sudan using its potential influence to impact change in Libya and threaten its influence in North Africa and in the African region in general. Gaddafi’s fears might have also been exacerbated by his perception that most of Libya’s population have religious leanings that tend to ally with the Sudanese regime’s Islamic orientation. The Libyan intervention might have also been due to the pressures exercised by some of the citizens of southern Libya to intervene in the Darfur problem, including Mr. Osman Al-Boshra and other members of the Revolutionary Committees belonging to the alliance of the Tubu, Bideyat and Zaghawa tribes, who are relatives to some of Darfur tribes, and have old mutual alliances. Also Gaddafi may have been angered by the Sudanese authorities preferring the Qatari peace initiative for Darfur and neglected that of Tripoli, as the Sudanese authorities did not trust Gaddafi, because they believed that solutions that may result from the Tripoli initiative will weaken its sovereignty in the Darfur region. It became clear to Sudan that the overthrow of Colonel Muammar Gaddafi would improve Sudan’s relations direct neighboring countries and regional ones, and achieve internal stability in Sudan. As a result, Sudan joined all the international community led by the US (5) and most of the Arab countries after the revolution of 17 February 2011, as a result of the refusal of Colonel Gaddafi regime to respond to the demands of the Libyan people, and used force and brutality to suppress protests, leading to the UN Security Council Resolution 1970 (2011) taken unanimously 26 February 2011 to halt violence immediately in Libya, and considered the systematic crimes oriented by Gaddafi regime against civilians in Libya as amounting to crimes against humanity. This decision imposed an embargo on the supply of all types of weapons to Libya, and prohibited it from purchasing weapons, in addition to a ban on a number of Gaddafi regime officials from traveling abroad. However, African states’ response was late as a result of their association with the Gaddafi regime, and as a result of finance given by Gaddafi to the African Union. This explains the refusal of the African Union summit held in the capital of Equatorial Guinea (Malabo) in July 2011 to intervene in the matter of Libya. Despite the success of the revolution in eliminating the Gaddafi regime, there is a failure to reach a peaceful solution to the conflict in Darfur, and there are weapons spreading from Libyan after the conflict to the Sahara desert and neighboring countries. There is also an increase in militant groups once associated with the Gaddafi regime in West, Central and Eastern parts of Africa, and the spread of small, medium arms, and anti-aircraft weapons in the northern parts of the Sahara desert, from the southern Libyan border up to areas between Algeria and Mali, which now poses a threat to neighboring countries and regional security. The Sudanese role started to increase in Libya after the uprising of February 17 2011, when news spread that there was a preparation for a military operation by the JEM to support Gaddafi, besides preparing for a military operation inside the Sudan with military support from Libya. Thereafter the Sudanese armed forces alongside forces of the National intelligence and Security Service (NISS) tightened their grip on the Sudan-Libyan border. The Sudanese authorities coordinated with the Libyan opposition, and offered them to provide logistical assistance, training and supply of arms, ammunition and combat equipment and security and intelligence cooperation. After that, the presence of Sudanese security and intelligence increased inside Libya, to play critical roles for the benefit of the Libyan armed revolution. On 1 May 2011, the Libyan authorities expelled the Sudanese consulate at Kufra, in southeast Libya close to the Sudanese border, and closed down the mission headquarters, accusing Sudan of interfering in favor of the revolutionaries. At the same time, Sudan also expelled Libyan consular mission in the city of El-Fasher and ordered its members to leave the country within 24 hours. The international community responded to what was happening in Libya, as a result of a demand by the Arab League and the Libyan opposition to intervene. Sudan had then made considerable progress in the field of political, security and military coordination with the NTC. When Security Council issued Resolution 1973 (2011) on March 17, 2011 to protect civilians from Gaddafi’s brutal attacks towards his own people, US (6) and other NATO forces began to carry out military air and sea operations to impose a ban on and reduce the entry of arms to Libya, as well as force a no-fly zone over the Libyan territories. They formed the Contact Group on Libya on March 29, 2011, which met in Doha after a week of composition. This meeting conceived a vision for the future of Libya and gained support from coalition of countries, including the Sudan. NATO and partners began operations in Libya on March 31, 2011 to implement the UN Security Council Resolution 1973 (2011). Sudan opened its airspace to NATO aircraft operations at the beginning of the Odyssey operation in March 2011, while all the required information on the bombing in Libya was passed by Sudan from its Libyan agents. The Sudanese Armed Forces (SAF) played a vital role to expel the Gaddafi elements from the city of Kufra (7). They then recaptured it again, through an attack via three axes managed through the destruction of most of the Gaddafi battalions. Later Kufra town was handed over to the rebels. Sudan continued its efforts in Libya to track Khalil Ibrahim and his movement, based on information from intelligence agents confirming that the forces of Khalil Ibrahim planned to return to Darfur with equipment, weapons and Libyan money. Sudan continued Joint Coordination of security and military ties with the TNC. In the heat of battle between Gaddafi and rebels in Misrata, Zintan, Aajaddabya and other Libyan cities, several armed groups backed by the Gaddafi regime tried to move out of Libya with significant military equipment and huge funds. But the coordination efforts between Sudan, the NTC and the international forces became a key tool in defeating the Gaddafi regime and helped rebels to enter Tripoli on August 21, 2011. The Sudanese role was instrumental in Libya in 2011 before calling NATO to intervene in Libya, and after the NATO intervention. Sudanese national security and military intelligence monitored all movements of Gaddafi Brigades in eastern and southern Libya, and provided logistical and military support to the revolutionaries in Benghazi, Misurata and Aajaddabya and other areas. Sudanese intelligence formed the mainstay for concentrated bombing operations by NATO against military targets of the Gaddafi regime. A significant role was played by Sudanese officers in providing logistical and military support operations to the Libyan rebels, as well as continuously providing intelligence to the NATO, besides their assistance in arresting leading figures in the Gaddafi regime. The size of support provided to the Libyan rebels to topple the Gaddafi regime was revealed by the Sudanese President, Omar Al Bashir, on October 26, 2011, when he spoke at a celebration in Kassala, attended by the Prince of Qatar, Sheikh Hamad Bin Khalifa Al-Thani, Eritrean President Isaias Afwerki, marking the occasion of the opening of a road connecting Sudan and Eritrea. President Bashir announced officially for the first time, that weapons and ammunition had reached all Libyan revolutionaries in Misrata, the western mountains, Benghazi and Kufra, stressing that the forces that entered Tripoli had, as part of their armaments and logistical and information capabilities, Sudanese supplies to the extent of one hundred percent. In his speech, President Al Bashir talked about the Gaddafi efforts to undermine the Sudan national security, and stated that Sudan was able to fight back. Shortly after the fall of the Gaddafi regime, the Libyan operations HQ expressed its thanks and appreciation on October 20, 2011, for the active role of the NISS to arrest Saif Al Islam Al Gaddafi. Libyan security source said that the national security and intelligence of Sudan played a central and essential role by providing technical and operational support and information leading to arrest Saif Al Islam in the south of Libya. The source confirmed that this role is an extension of the Sudanese government’s role in support of the Libyan revolution. Khartoum endeavored since the outbreak of the Libyan Revolution, to play a key role in the removal of the Gaddafi regime, by supporting the revolutionaries in Libya, providing them with information and data, weapons and ammunition and logistical support, and revealing alliances that were made and sponsored by Gaddafi with the movements and activists in Darfur, according to a statement from the Libyan military operations room. One of the biggest successes of NISS was the process of normalization between Sudanese government and Chad, which led both governments to sign a military and security protocol (8) in January 2011 to protect their borders (1280 km). Now the borders between Sudan and Libya are also under the responsibility of a joint Sudanese-Libyan force, which seize and block all outlets, to prevent any infiltration into the Sudanese and Chadian border by Gaddafi followers. These forces worked as sensor and reconnaissance system for any suspicious movements of armed groups and small arms. Because the Libyan Revolution has produced a new reality in Sudan and Chad, this joint force consists of one Sudanese battalion and one Libyan, supported by armored, air and reconnaissance elements, Sudan has provided important support to these forces represented in 35 combat vehicles (pick-up) and about 20 large military transport vehicles for various purposes (9), in addition to a considerable number of light armored vehicles and other combat aids. Sudanese security officials, who preferred not to mention their names, have stated that NISS and Sudanese military intelligence services, penetrated the Libyan intelligence from its highest position to the bottom. Objective reasons facilitated the penetration process, as the former Libyan security system was considered as the worst security system in the Arab and African region, in which its members do not have any secret approach. In addition to lack of skills due to their behavior and corruption, the Libyan security officers use foreign servants, and some of them have a number of houses and recreation lodgings run by Sudanese. It seems that the Sudanese security and military intelligence achieved many successes in Libya before and after the Libyan revolution, but perhaps it is not the time to reveal the details yet. The fall of the regime of Colonel Gaddafi played a crucial role in reshaping the future of relations between Libya and Sudan. After over 42 years of past relations marked with much mistrust and disorder, and deeply influenced by the personality of Gaddafi which carried with it contradictory positions towards Sudan. Despite his calls on unity of the African continent, and his quest to abolish boundaries and adopt common policies among African countries, as well as his calls to form a united African government, a suggestion, which was discussed at a Sirte conference in 2009, Gaddafi, was at the same time supporting and encouraging Sudanese rebels including secessionists. The fall of the Gaddafi regime produced a new equation in the region (10) and ended the instability concerning Libyan-Sudanese relations, which allows many opportunities to build new foundations and contribute to the formation of firm future relations between Sudan and Libya, on the basis of good neighborly relations and common interests. There are several factors that will play positive roles in developing new reality for Libyan-Sudanese relations. The most important factors will be the ability of the Libyan revolution to exercise control over the army and security throughout the territory of Libya, and the removal of the remnants of the Gaddafi regime (the liberation of Beni Walid town from the grip of Gaddafi loyalists 25 October 2012 acts as an example.) This is especially important in the bordering desert areas between Sudan and Chad, because of the continued presence of Gaddafi remained elements in that region, which will contribute to destabilization of the new situation in Libya and may act as a source for the supply of arms to Darfur region and all regions (11) around Libya. In turn this create conditions conducive to a guerrilla war, if some armed movements in Darfur and northern regions of Chad refuse to engage in the peace process. There were many rumors about smuggling of large quantities of Libyan arms into Darfur after the collapse of the Gaddafi regime, especially after the passage of late Dr. Khalil Ibrahim from Libya to South Sudan in September 2011. The fall of Gaddafi regime has in effect ended all its previous regional alliances. The Gaddafi regime had been associated with Chad, Uganda and Eritrea, all of which have succeeded with the support of Gaddafi to play pivotal roles in the Darfur crisis, by harboring leaders of Darfur rebel movements, and establishing camps to train them. Despite the geographical distance of some of these countries from the Darfur region, for example Uganda was able to play an instrumental role in the Darfur crisis because of the close relationship between Gaddafi and Museveni. Therefore, fall of the Gaddafi’s regime helped to stop support to armed movements in Darfur. The nature of the political system in Libya after the fall of Gaddafi, and the nature of its foreign policy and its trends towards the neighboring countries, is an active ingredient in the formation of close Libyan-Sudanese relations. It should be acknowledged that the essential support that the international community provided to the Libyan revolution, and the role played by the US, France, and Britain through the NATO, led to the victory of the Libyan rebels. This will all have an impact on the future relations between Sudan and Libya. The continued tense relations between Sudan, the US, and some Western countries, with the latter imposing sanctions and pressure on the Sudanese regime, due to the situation in Darfur and the relations between Khartoum and Juba, may influence the post-Gaddafi Libyan policy towards the Sudan, despite Sudan’s effective involvement in the overthrow of Gaddafi regime. Nonetheless, Sudan is the largest beneficiary of the fall of the Gaddafi regime. Its fall led to the removal of one of greatest threats against national security in Sudan, and had also led to calm the situation in Darfur. Now, the process of finding a peaceful political solution to the Darfur crisis is considered one of the most important objectives of the Sudanese government, which will continue its efforts to stabilize the troubled region in Darfur so as to achieve rapid political and socio-economic changes, find resolutions to the root causes of the crisis (1) in Sudan, and to perform radical changes in ending conflicts through dialogue and peace-building processes. The relationship between Sudan and Libya has gone through three stages. The first: represented by the period of the Gaddafi regime, who harmed Sudan and its people even more than it harmed the Libyan people, due to his regime’s involvement in funding everything that may cause instability in the Sudan, which, in turn, damaged Sudan’s relations with neighboring, regional and international countries. The second stage: is the stage marked by the beginning of the 17 February 2011 revolution up to the end of the Gaddafi regime in 20 October 2011, during which Sudan played a vital role in supporting the Libyan revolution politically and assisting them militarily and logistically. The Sudanese hoped that the Libyans may appreciate the Sudanese supporting role. If there had been no such Sudanese support to the Libyan revolutionaries, the Kufra zone would not have been liberated from Gaddafi brigades. Sudan also played an important role in facilitating communication with the Libyan neighboring countries during the 2011 revolution. This is especially the case with Niger, unless for Sudan’s intervention, the Libyan Transitional Council may not have communicated politically with the Government of Niger, because its leadership was still supporting the Libyan ex-regime. The third stage: is the development of future relations between Sudan and Libya to strengthen bilateral relations based on good neighborliness and strengthening regional peace to safeguard common interests between the two countries. Cooperation between the two countries, and other countries of the region, in social, cultural, security, political, economic and military and security fields, will undoubtedly contribute to greater stability for both countries and the whole region (12). The end of the Gaddafi regime dealt a fatal blow to the JEM, which later suffered the elimination of its leader, Dr. Khalil Ibrahim, after he crossed from Libya through Darfur to South Sudan, which led to destruction of most of his vehicles and army in September 2011. The end of the Gaddafi regime had in effect marked the end of his regime’s regional alliances, which aimed to create instability in Sudan and most countries (13) of the region, threatening peace and security of Africa and beyond. Sudan’s role in Libya in 2011 aimed to topple the Gaddafi regime, which was viewed as the greatest threat to the Sudanese national security, as well as the regional and international security. It was intended to contribute to building a modern capacity in confronting the regional and the international challenges. These challenges included achieving regional stability and security, and developing the economic structure of the regional states. Cooperation between Sudan and Libya today, instead of supporting illegal armed groups, which contribute in the instability of the region and the diffusion of violence, can significantly contribute to eliminating the expansion of war and armed groups in the region, as well as to integrating all citizens of the region in the economic systems of the respective countries, and building a culture of peace (14) and stability. Asim Fath-Elrahman, Darfur Crisis, Fact and Solutions, Research Paper, Khartoum, 2008. Claudio Gramizzi & Jerome Tubiana, Small Arms Survey, Forgotten Darfur, old methods and new players. Graduate Institute of International and Development © Studies, Geneva 2012. Clark A. Murdock and Becca Smith, The Libyan Intervention A Study in U.S. Grand Strategy, Global Forecast 2011. Badr Hassan Shafie, the settlement of conflicts in Africa – ECOWAS model, Cairo university publishing house, First Edition, 2009. Flint, Julie and Alex de Waal, Darfur: New History of A Long War, London Zed Books, 2008. Marina Ottay & Mai Saadani, Sudan conflict to conflict, Carnegie Papers, Middle East May 1, 2012. Mohamed Ahmed Abdel Ghaffar, Political transitions and regional changes and their impact on Sudan and the region, Journal of Future Studies, the first issue, the fifth volume, the seventh year, Sudan, Khartoum, December 2011. Mustafa Omar Alter, The challenges of the transition to democracy in Libya, Libyan Al-Watan newspaper, September 23, 2011. Protocol of securing the Sudanese-Chadian border January 2011. Resolution 1973 (2011) adopted by the Security Council on March 17, 2011. Researcher field visits to the Libyan-Sudanese border and the Sudan-Chad border in the period from March 2010 to July 2011. 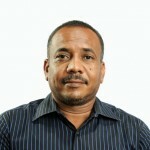 Sami Ahmed, The position of the United States of America of the Libyan revolution, African Strategic Report 2010 – 2011, the seventh edition, Research Institute of African Studies, University of Cairo, Egypt, October 2011. (1) Asim Fath-Elrahman, Darfur Crisis, Fact and Solutions, Research Paper, Khartoum, 2008. (2) Flint, Julie and Alex de Waal, Darfur: New History of A long War, London Zed Books, 2008. (3) Marina Ottay & Mai Saadani, Sudan conflict to conflict, Carnegie Papers, Middle East May 1, 2012. (4) Claudio Gramizzi & Jerome Tubiana, Small Arms Survey, Forgotten Darfur, old methods and new players. Graduate Institute of International and Development © Studies, Geneva 2012. (5) Clark A. Murdock and Becca Smith, the Libyan Intervention A Study in U.S. Grand Strategy, Global Forecast 2011. (6) Sami Ahmed, the position of the United States of America of the Libyan revolution, African Strategic Report 2010 – 2011, the seventh edition, Research Institute of African Studies, University of Cairo, Egypt, October 2011. (7) Interview with Sudan army officers, Sudanese Libyan frontiers Nov 2011. (8) Protocol of securing Sudanese Chadian frontiers, January 2011. (9) Interview with Sudanese security officers, Sudanese Libyan frontiers Nov 2011. (10) Mustafa Omar Alter, the challenges of the transition to democracy in Libya, Libyan Al-Watan newspaper, September 23, 2011. (12) Africa Center for Strategic Studies, Media Review for September 7, 2011. www.sudanile.com/ Thursday 16 June 2011 7:33. (13) Mohamed Ahmed Abdel Ghaffar, political transitions and regional changes and their impact on Sudan and the region, Journal of Future Studies, the first issue, the fifth volume, the seventh year, Sudan, Khartoum, December 2011. (14) Badr Hassan Shafie, the settlement of conflicts in Africa – ECOWAS model, Cairo university publishing house, First Edition, 2009.